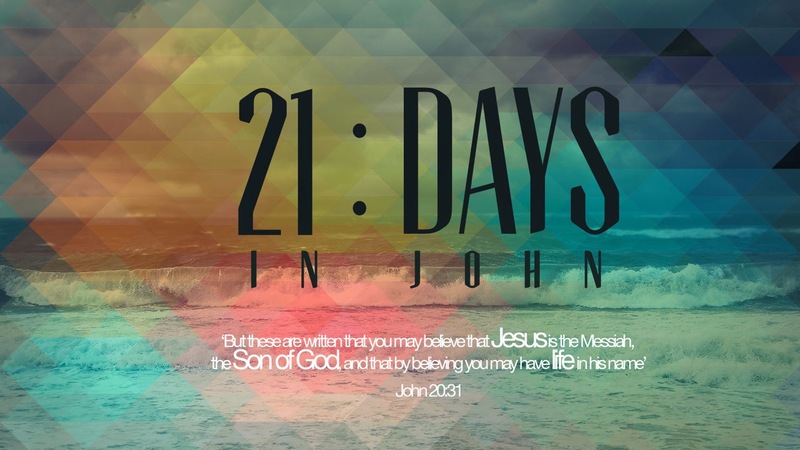 Simon Benham's Blog: 21 Days in John - Day 6: Where Else Can We Go? The disciples were confused when Jesus asked them where they could buy bread to feed a multitude of people. They did not see Jesus as the answer to the need. The disciples were fearful in the storm and didn’t recognize Jesus as He approached them walking on the water. What man could possibly walk on the water in such a storm…. or even if there wasn’t a storm? The disciples were puzzled by Jesus’ teaching and didn’t really understand Him! They said that His teaching was hard and unacceptable. They began to grumble and some of Jesus’ followers deserted Him. Peter answers for the twelve and says, “Lord, to whom shall we go? We know that You are the Son of the Living God.” You may be confused, fearful or puzzled, but where else can you go for that which is eternal? Settle that issue and let Jesus deal with the confusion, fear and bewilderment and instead give you peace! Give some examples of when you have been challenged like Philip and have tried to find answers to an impossible situation. What did you do at that time? How much do you think that you need to understand in order to trust Jesus? What is your answer to Jesus’ question, “You do not want to leave Me too, do you? I was struck today with the fact that Jesus had Judas as part of his tight knit inner circle of chosen disciples. Jesus says here that one of them is a devil. We know that later Judas becomes a traitor and betrays Jesus for money. I wonder though how he behaved and what kind of attitudes he had in the three years he was with Jesus. Jesus must have demonstrated tolerance and kindness. I don't suppose he turned a blind eye to Judas' behaviours, but perhaps Jesus didn't discipline him in the way that he corrected Peter. Right now there are fault lines in many countries were hatred and division amongst people in the same nation tears communities apart and erupt in feuds and violence and long held grievances. Jesus experienced these tensions amongst his disciples as well as the very public antagonism thrown at him from the religious and political class of his day. In Christ we can recognise and discern those influenced by evil, and we can pray for them and with grace and mercy include them. That is very challenging. Let's pray that love will conquer where there is discord, for ourselves and our world.